A four member team of the Foundation headed by Dr Najmussalam Jalali, Secretary and consisting of Mr Mumtaz Najmi, Mr Junaid Ahmed and Mrs Jameela Begum visited various towns, cities, qasbas (sub divisions), villages, etc of Gujarat. They went into numerous relief camps as also to the mohallas, lanes and houses. Soothing effect was provided to the victims. Medical attention was given by way of clinical examination, diagnosis, advice. Huge quantities of different medicines were taken from Delhi and distributed. Dozens of cartons of clothes for men,women and children were collected in Delhi and were sent to various places in Gujarat. Necessary items of utensils/other household goods were provided to the needy. Handcarts(Thelas) and Ice-Cream Trolleys, belonging to the vendors were burnt/destroyed during riots. New Thelas and Ice-cream Trolleys were purchased and provided to the victims. Shops of Tailors were burnt/gutted during riots; new pedestal sewing machines were purchased at Delhi and were sent to the victim tailors. During the rainy season the inmates of the relief camps had to shift under pucca roof. Their houses had either been destroyed in the riots or in any case many of them did not want to resettle at their original dwelling place apprehending fresh violence. Some philanthropic Muslim Gujaratis donated substantial pieces of land (4-5 acres). Another set of architects / draftsmen of Gujarat made out blueprints of housing colonies. Estimates were prepared. One smallest residential unit with one room, a bathroom & a small kitchen costed about Rs 25,000/- (US $ 500). Construction work started as some collection had been made within Gujarat. But, a lot more finances are needed. The Foundation issued appeals in the Urdu newspapers of India. So far, about 22 small residential units have been financed through the Foundation. Now the Foundation is issuing ads in the English newspapers of India also. There were large numbers of young girls in the various relief camps across Gujarat. Some Gujarati NGOs arranged suitable matches for such girls from outside the camps. Group Nikah ceremonies were organised at various places in Gujarat. For this purpose the Foundation has so far sent to the Gujarat NGOs an amount of Rs 3,00,000/- which has already been duly utilized. Hundreds of such marriages are yet to take place. There is a good scope for participation by way of financial contributions. As per details worked out by the Gujarat NGOs an amount of Rs 12,000/- is incurred per couple (US$ 240). A large no. of Gujarati children have been rendered orphan/helpless as a result of the riots. 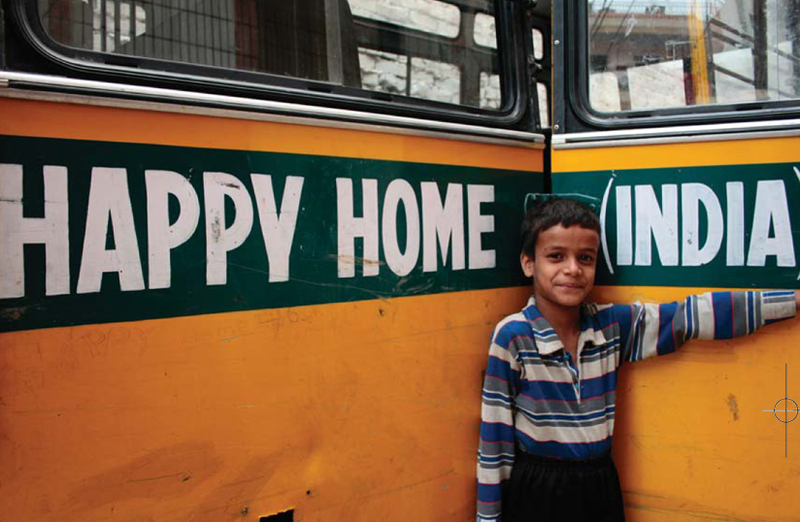 The Foundation has opened a facility for such children at Delhi named as - "HAPPY HOME (INDIA)" with the help of NGOs / individuals of Gujarat, Twenty seven such children arrived in Delhi. The Foundation has undertaken to take care of their boarding, lodging, food, health care & education. The Foundation appeals to all the persons to generously contribute in this noble venture. such upbringing of children can be sponsored by you @ Rs 2,000/-(us $ 42/-) per child per month or even less if you so wish. A large no. of Gujaratis suffered physical injuries during riots. Some complicated cases were selected by the Foundation. The patients were brought to Delhi. The required medical care was provided. The boarding & daily requirements of the attendants of such patients was also being financed by the Foundation to the possible extent. The Foundation appeals to all the persons who see this Web site to donate generously for this noble task & also to tell others about this Web site The Foundation prefers to receive bank cheques issued on the Indian branch of any Bank branch in India. The required coordination has been maintained with sincere NGOs and individuals in Gujarat. Many representatives of such NGOs have even personally attended the meetings of the Foundation at Delhi. People willing to be a part of this noble cause can either contact the Foundation or these NGOs / individuals directly. In order to bring back the lives of the affected people to normalcy Zakat Foundation of India sent a group of volunteers to the worst affected parts of Tamil Nadu. Dr. Najmussalam Jalali, Secretary ZFI & Mr. Mumtaz Najmi, Incharge Happy Home (India) visited distt. Nagapatnam and Nagor.